Resource guide for the 2016 Alumni College course "Loyola, Legacy, and You." Special Collections & Archives has been increasing the availability of University Archives materials online both to increase access and to help preserve materials long term. 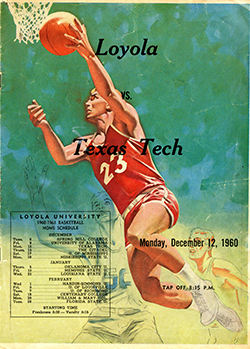 This is an artificial collection consisting of Loyola University New Orleans ephemera created to promote and support sport teams at Loyola University between the years of 1908 – 1992. Archery, basketball, baseball, boxing, football, golf, soccer, and tennis are represented as well as Hall of Fame awards and items detailing the discontinuation of intercollegiate sports in 1972. Films from the Loyola University Athletics Collection were digitized by the Center for Louisiana Studies at the University of Louisiana at Lafayette thanks to generous donations from John Erb and Charles Young. The Loyola Bulletins act as course catalogs for the university. Bulletins for 1855-56 through 1876-77 are for Jesuits' College. The name of the school changed to College of the Immaculate Conception in latter year. Bulletins for early 1910s through early 1920s are for high school and grammar school departments. Loyola College was the next forerunner of Loyola University. 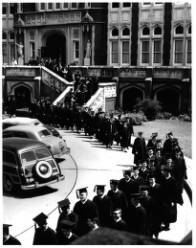 After Loyola University was formed, the college was a grammar and high school. The general bulletins continued to be published to the present day. Individual colleges and schools within Loyola published bulletins as well. Loyola’s bulletins were digitized by the LYRASIS Mass Digitization Collaborative with funding from the Alfred P. Sloan Foundation. This collection documents the history of libraries and library staff at Loyola University New Orleans. At this time the collection is comprised of Library Newsletters from 1983-2009 from the University Periodicals Collection. The Maroon, the student newspaper of Loyola University New Orleans, has been published since 1923. The Maroon covers student life, campus activities, cultural and athletic events, Loyola University New Orleans administration, faculty and staff, and other features. 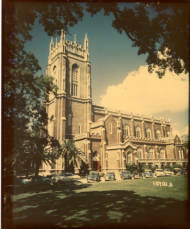 This collection is comprised of photographs dating back to the early 20th century from Loyola's University Archives. Early photographs include some taken by famed New Orleans photographer E.J. Bellocq. Since 1949, the university has employed an official photographer. While a large part of the photographs in the collection come from these university employees, many photographs in the collection are unidentified. When the photographer is known, photos will be credited to that person. Unidentified photos will be credited to the university. 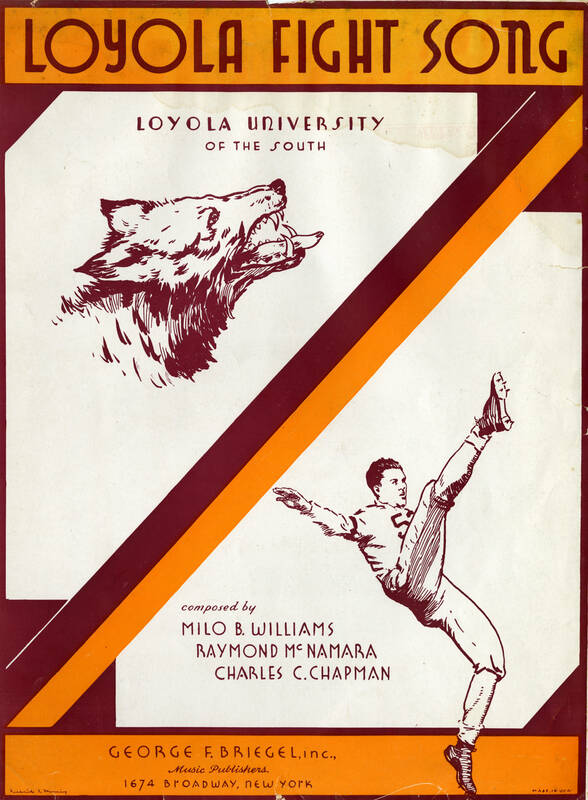 The Wolf, the yearbook of Loyola University, has been published since 1924. The yearbooks contain invaluable information about student life, classes, and faculty. The Wolf Yearbooks were digitized by the LYRASIS Mass Digitization Collaborative with funding from the Alfred P. Sloan Foundation. Additional digitized Loyola University Archives include sheet music of the Fight Song and Alma Mater as well as promotional videos made by Loyola staff and students. This overview from the Library of Congress provides basic considerations and steps to help you scan your documents and photos. How Long Will Digital Storage Media Last? This guide from the Library of Congress will help you determine the lifespan of your storage media and what steps you should take to ensure active management of your collections. Comprehensive guide from the Library of Congress National Digital Information Infrastructure and Preservation Program on how to preserve Digital Photographs, Digital Audio, Digital Video, Electronic Mail, Personal Digital Records, and Websites. Excellent PowerPoint presentation by Karen E.K. Brown from SUNY Albany on cost-efficient steps towards identifying, organizing, and preserving your family's history. Easily digestible tips from the Clyfford Still Museum Archives' Jessie de la Cruz on both digital and physical preservation for personal archives. 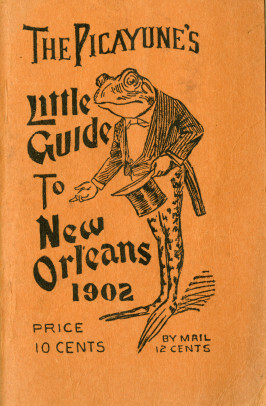 Located on the third floor of the Monroe Library, Special Collections and Archives preserves materials related to the history of Louisiana and the South, the Society of Jesus, and Loyola University New Orleans. Materials must be used in the Reading Room. Please contact archives@loyno.edu for more information or to schedule an appointment.